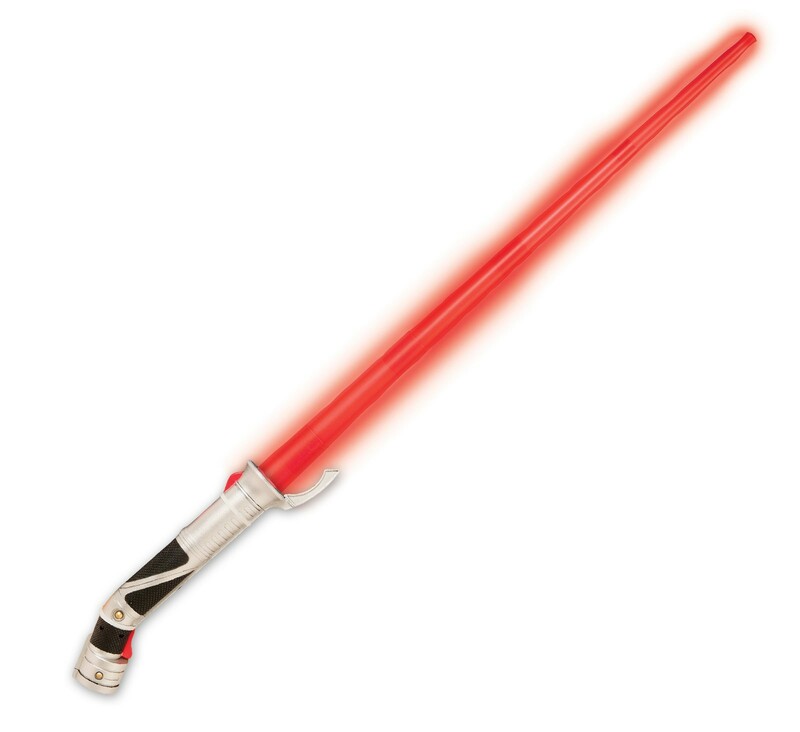 Use the Force with Count Dooku's red lightsaber! Did you know the hilt of his lightsaber is designed with a bend to accomodate his particular fighting style? Includes one red extendable lightsaber. Requires 3 AAA batteries, not included. Sturdy injection moulded handle with plastic, light up, telescopic blade. Extends to over 3ft long! Please note: this is a fun toy, but it is not designed for one-to-one combat to destroy the universe! 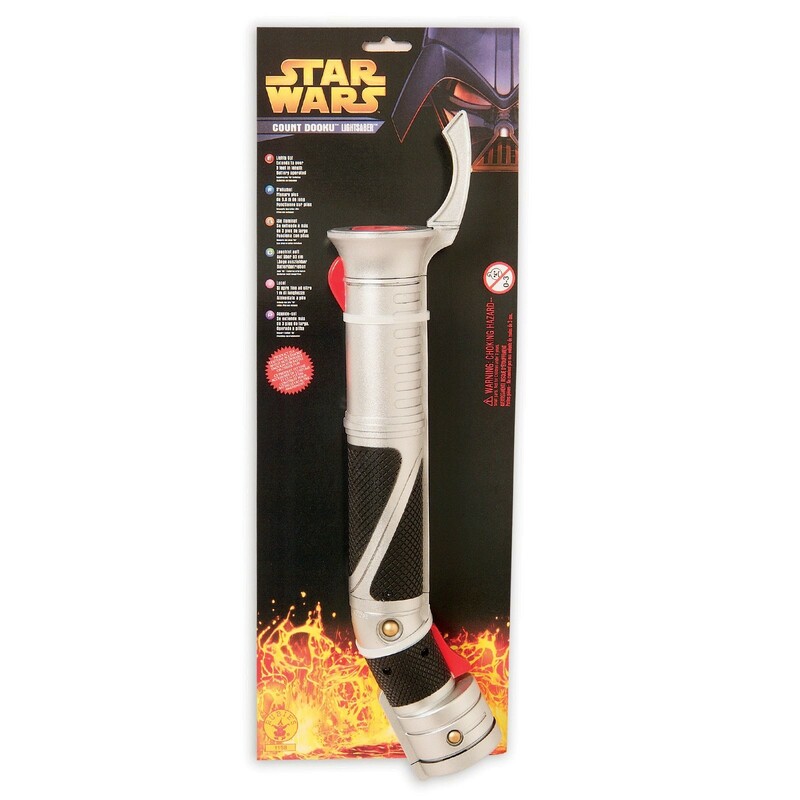 The lightsaber dimly lights up and is best seen in dark rooms.